Marks/Label: Handwritten at bottom of photo "Gen Currie Gen Loomis". Narrative: Part of a lot of items that belonged to Lt. Frederick H.M. Jones. 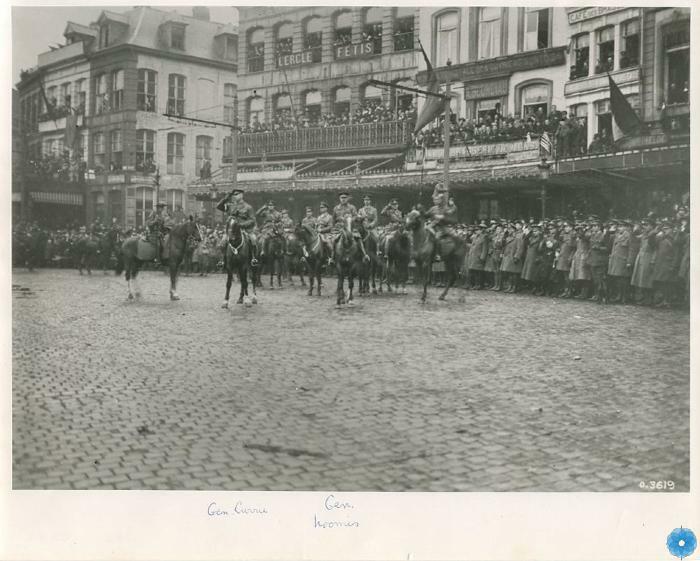 Description: A photograph of General Sir Arthur Currie, General Loomis and officers in Grand Place, Mons, Nov.11th, 1918.